This course will prepare you thoroughly for your BHS Stage 1 Horse Knowledge and care exam, the first in the British Horse Society’s professional exam series. If you are thinking of starting a career with horses whether it is as a groom, or instructor; freelance, part time or full time, you will need to take this exam. This course is designed to help candidates to prepare for the British Horse Society Stage 1 certificate. To clarify, this course does not give you the qualification, but prepares you for it. On completion of the course, Equine Distance Learning will help and support you to find a date and exam centre at which to take the exam. Why take your BHS Stage 1? Students who wish to begin a career working with horses. If you would like to become a groom. The BHS is a renowned world wide organisation and with their qualifications you can get a job anywhere in the world with horses. The course is divided into three units, which can be studied as a whole, or individually. 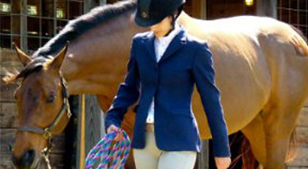 Saddlery – application, fitting and the care of saddlery. Feeding and Watering – types of feed, feed rations for a horse in light work. The course consists of learning material, learning activities and assessments which will gauge whether you are up to the required industrystandard, and whether you are ready to take the Stage 1 exam. Some of the assessments are written, some oral, and some involve taking videos of yourself carrying out certain tasks, or getting a BHS registered instructor to sign off that you can carry out certain practical tasks. Work experience is advisable to practice and re-enforce your knowledge and skills alongside studying for this course. Full support and advice on entering and taking your exam. Students wanting to become a groom; freelance or otherwise.